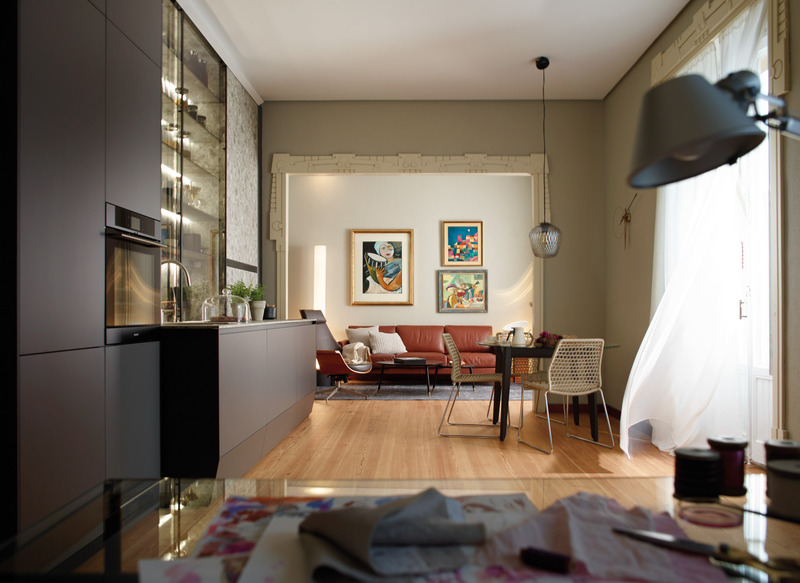 It is possible to enjoy bright, open and comfortable areas even in a small flat. 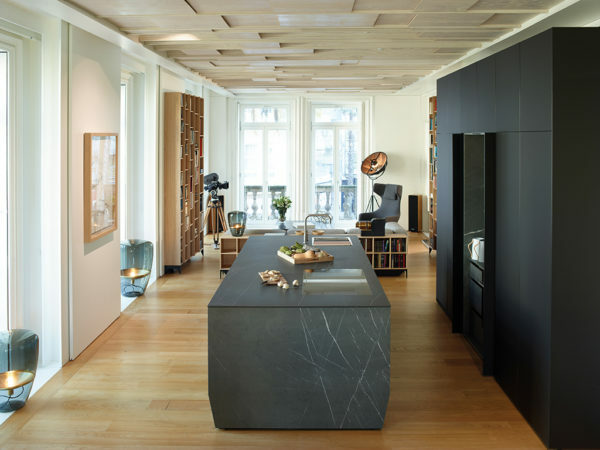 In this case, the in-line kitchen, dining room and studio share a room that in turn connects to the living room. 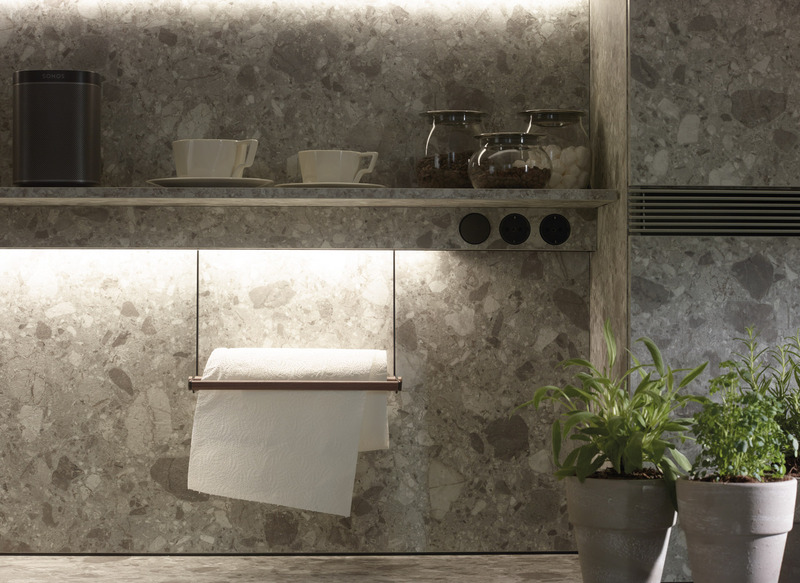 The versatility of the space made it necessary to take particular care in the planning, lighting and overall aesthetics. 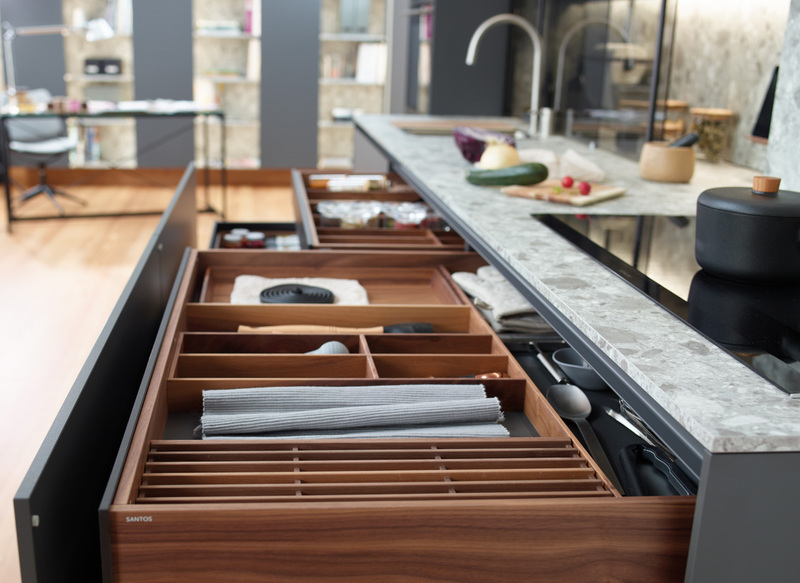 Everything was laid out in such a way as to facilitate everyday tasks, creative processes, moments of reflection and breaks from the daily routine. 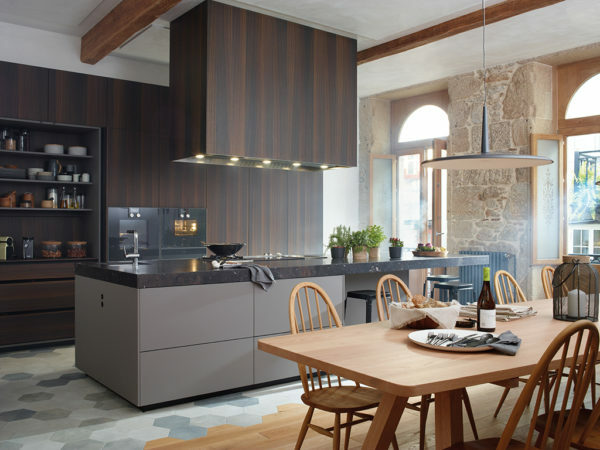 This modernist home has kept its most characteristic details intact, such as the mouldings, the wooden floor, the windows or the cast-iron radiators. 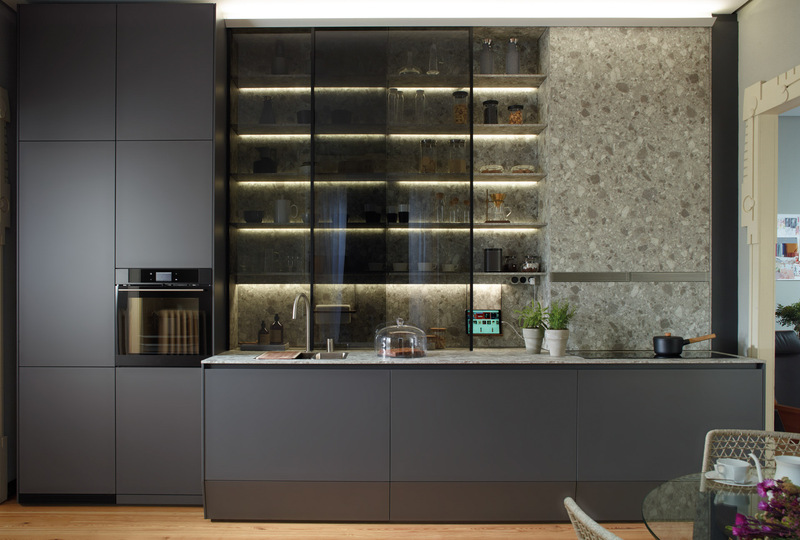 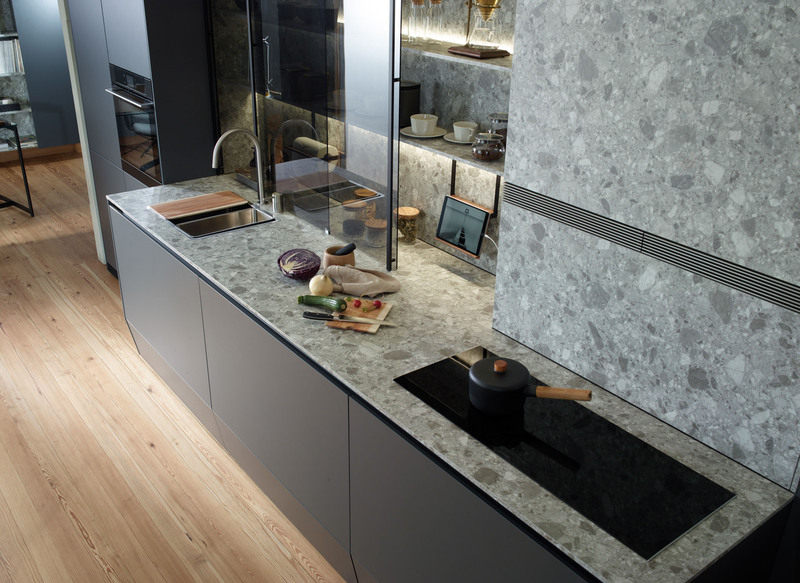 Space limitations in terms of fit-out and storage were overcome by designing an in-line kitchen brimming with solutions that make the most of the full height of a partition from floor to ceiling. 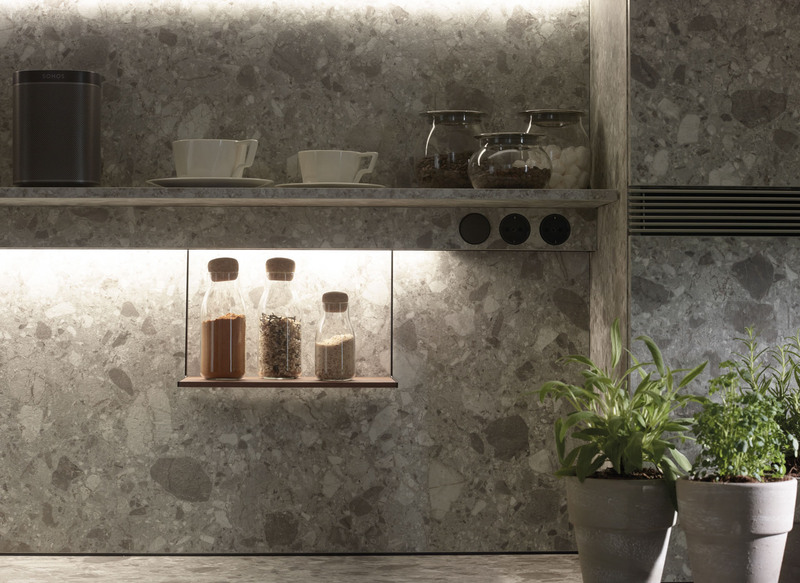 The lighting systems, finishes and sleek lines of the cabinets designed by Santos make it possible for them to seamlessly blend into the design without overwhelming it. 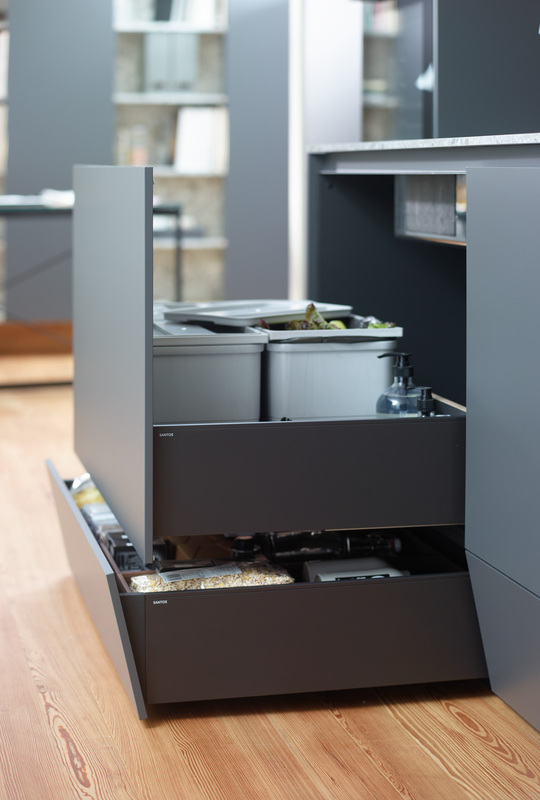 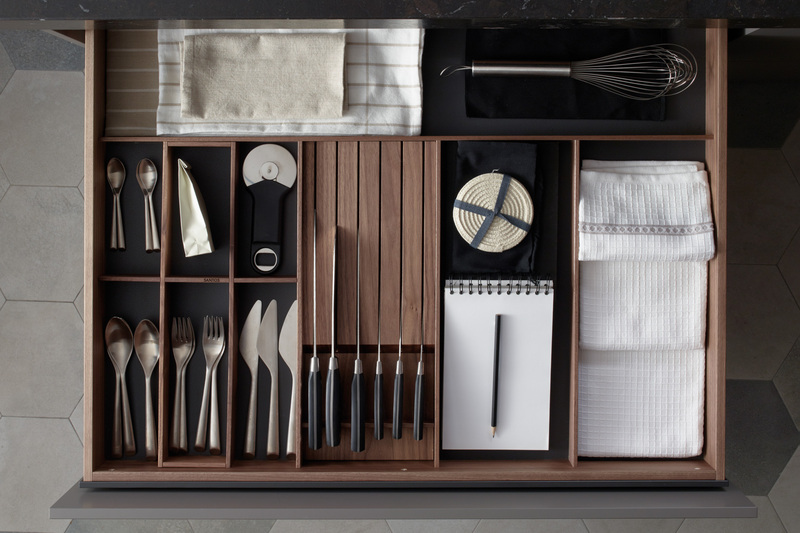 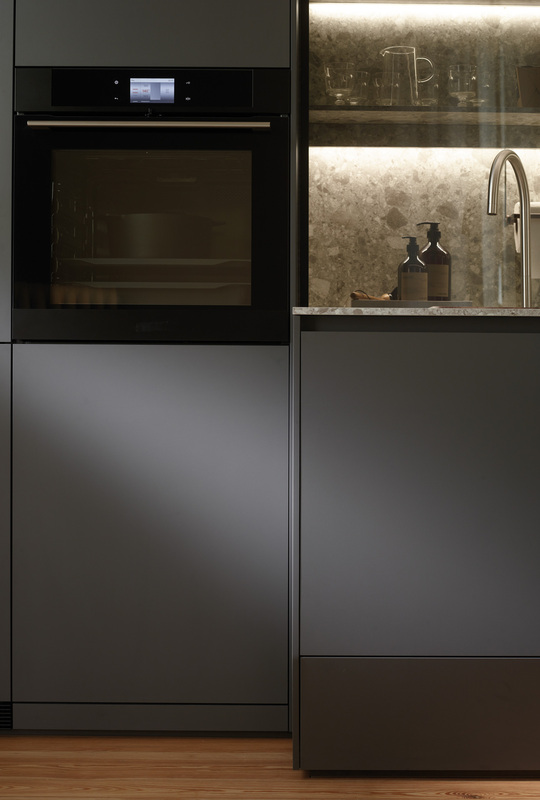 The base units in this in-line kitchen include three plinth drawers that expand their capacity down to the floor, for maximum organisation across four tiers of storage. 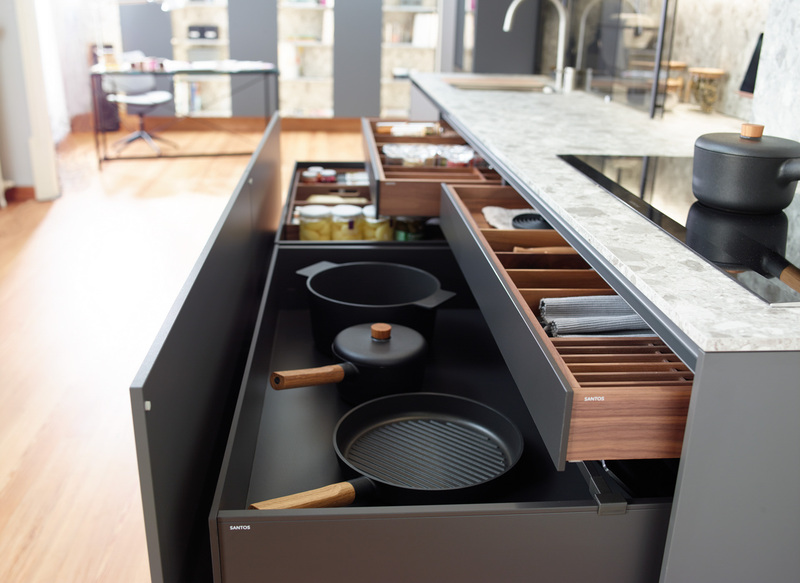 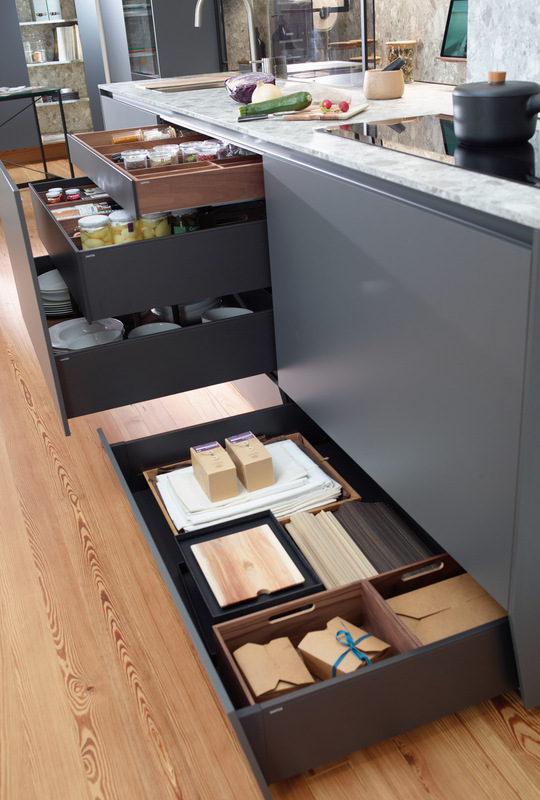 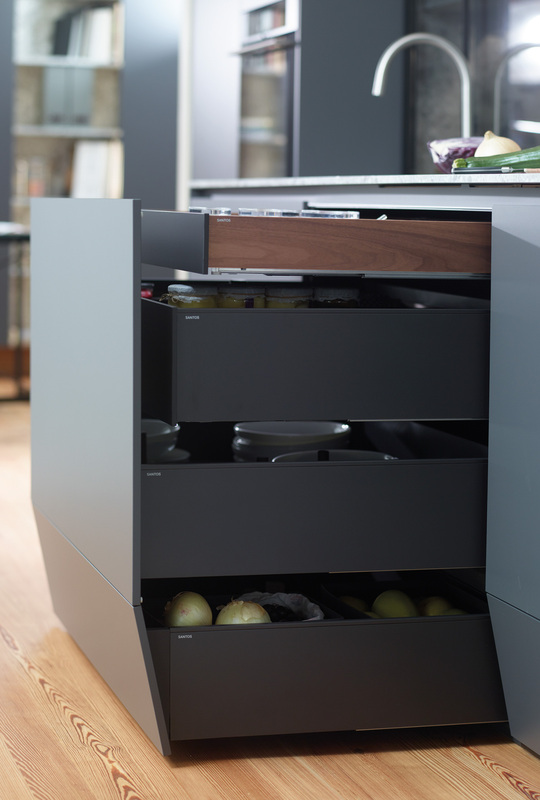 The fronts of these drawers tilt inwards to prevent tripping when working near the work surface. 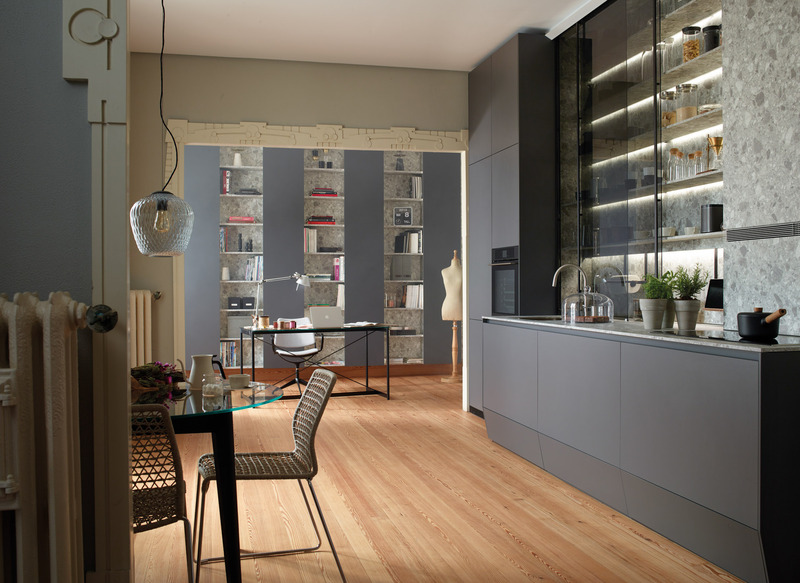 On the other hand, the interior of the tall units gains more usable space thanks to the low-height plinths. 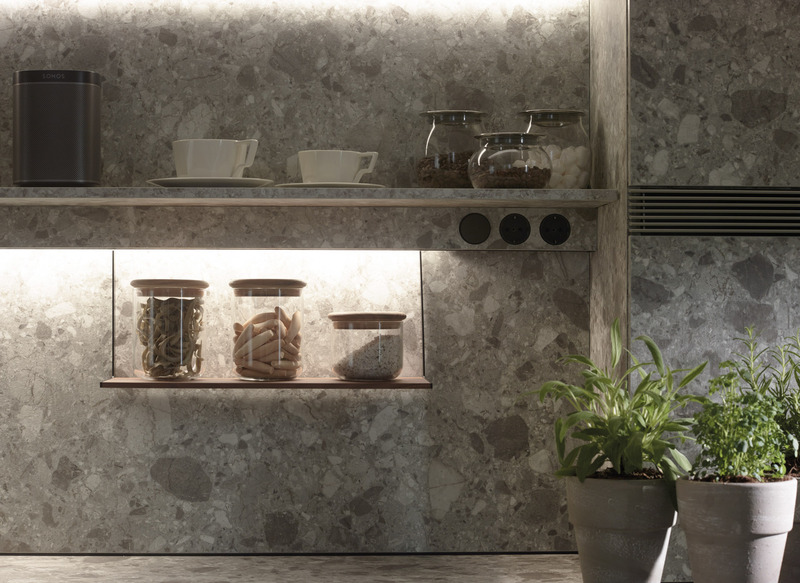 The entire wall behind the glass door unit is segmented up to the ceiling by means of LED-based light sources. 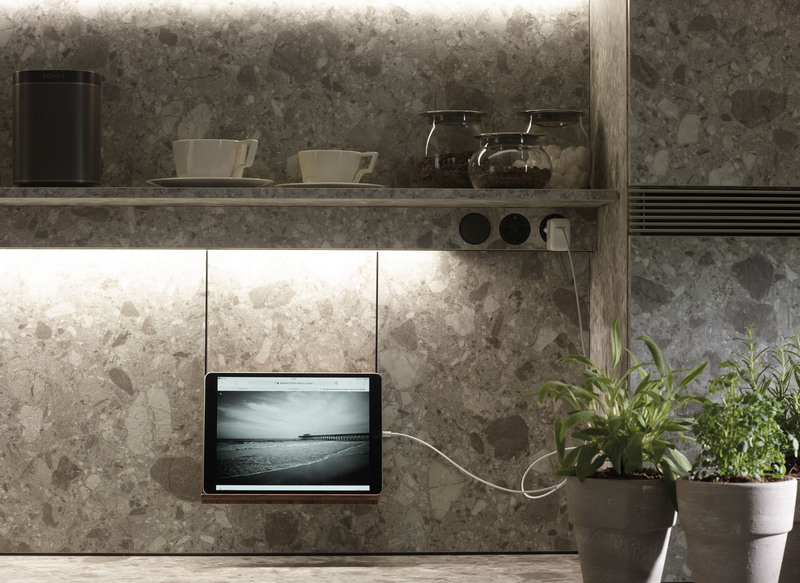 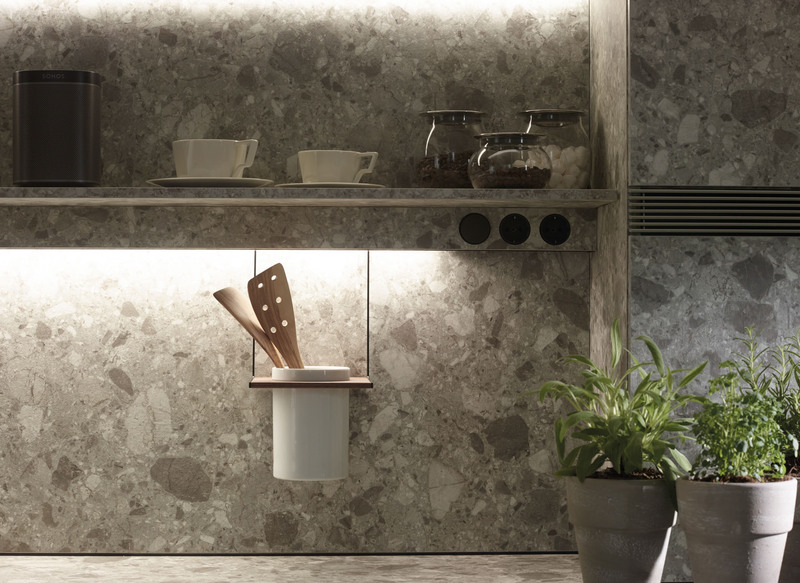 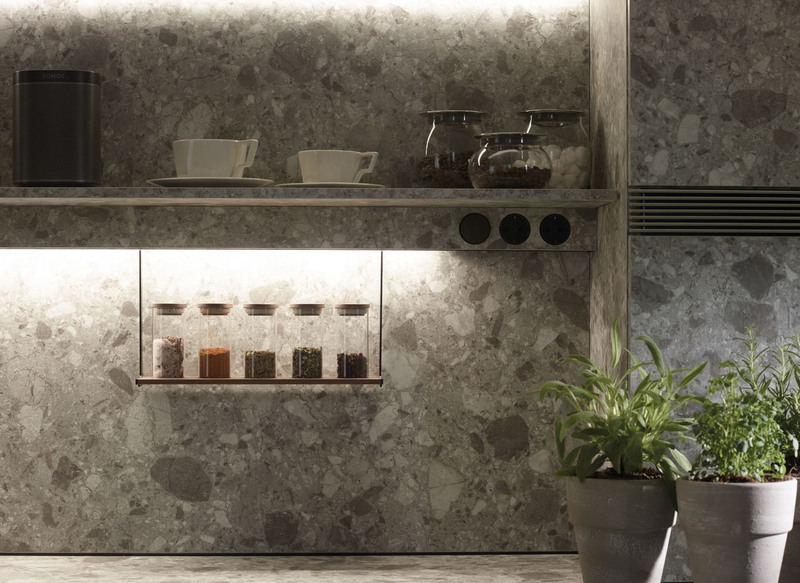 The lighting profile provides light for the work surface, comes with sockets and holds multiple accessories made of walnut wood: kitchen paper roll holder, multipurpose rack, spice rack, holder with porcelain container and tablet or book holder.